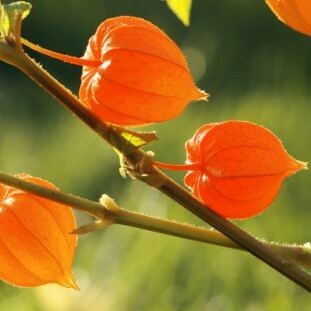 Soma uses only KSM-66 ashwagandha, which is widely recognized the best ashwagandha extract on the world market today given its position as the highest concentration full-spectrum extract. A “full-spectrum” extract is an extract which maintains the balance of the various constituents as in the original herb, without over-representing any one constituent. The ashwagandha ((Withania somnifera Dunal) herb’s efficacy is believed to be derived from a complex blend of active constituents, mainly alkaloids. 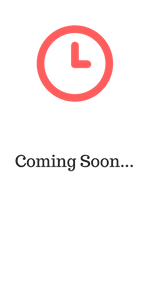 KSM-66 has been clinically proven to be effective and it leads the industry in clinical trials and basic research related to ashwagandha. Ashwagandha, an “adaptogen”, is the most popular Indian botanical plant and has been in use in Ayurveda, the 5,000 year old Indian system of medicine, as a rejuvenative and a daily tonic for many centuries. Clinical studies on stress and anxiety, sexual function, testosterone, muscle strength, recovery, anti-aging, weight management, memory, and many more areas, have shown the broad scope of application for this magical plant! 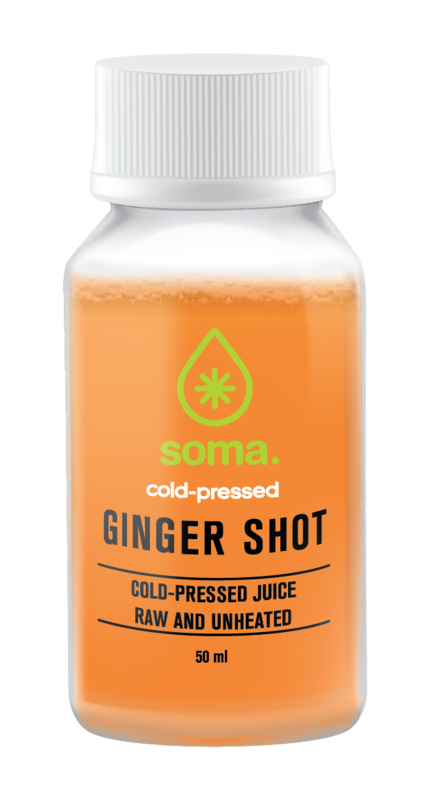 Soma uses Organic Maca Root in our Super Food Products. 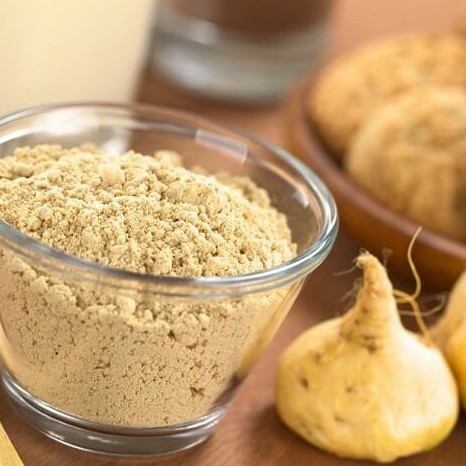 Maca is considered an “adaptogen” – part of a group of herbs and plants that help the body naturally adapt to stressors like a busy schedule, demanding job, or illness. Maca root (lepidium meyenii) is grown high in the mountains of South America, mainly in high altitude regions of Peru. The benefits of Maca root include a positive effect on hormone balance, energy levels, and a health booster. Maca has long been a favourite of top level athletes, but can be used as a tonic by anyone who regularly pushes their mind and body to it’s limits! In studies, Maca has been shown to display benefits including increased fertility in both men and women, hormone balance, immune booster, increased energy, stamina, improved sexual function, memory, and focus. Our coconut milk is Certified Organic! Coconuts are highly nutritious and rich in fibre, vitamins C, E, B1, B3, B5 and B6 and minerals including iron, selenium, sodium, calcium, magnesium and phosphorous. 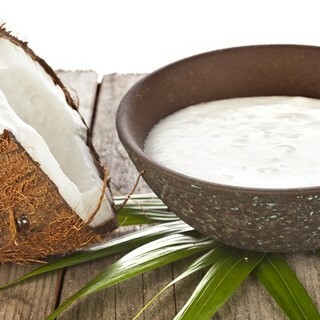 Unlike cow’s milk, coconut milk is lactose free. Coconuts contain significant amounts of fat, but unlike other nuts, they provide fat that is mostly in the form of medium chain saturated fatty acids (MCFAs). MCFAs are rapidly metabolised into energy in the liver. Almonds are 13 percent protein! They are also an excellent source of vitamin E, magnesium, calcium, fibre and protein. 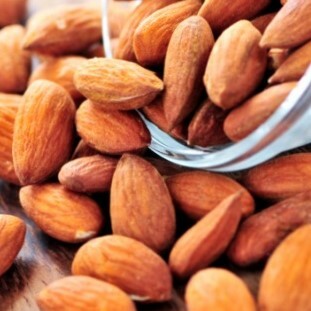 Interestingly, almonds are the only nut, and one of the few proteins, that are alkaline forming. Cholesterol reduction is the most celebrated health benefit of almonds, but there are many other vital health benefits of almonds nutrition. We use only Gluten Free Oats in our products (certified at under 20ppm Gluten, per regulations)! Our Oats are imported from the USA. Studies show that oats have many health benefits. These include weight loss, lower blood sugar levels and a reduced risk of heart disease. Oats are a good source of carbs and fibre, including the powerful fibre beta-glucan, and they also contain more protein and fat than most grains. 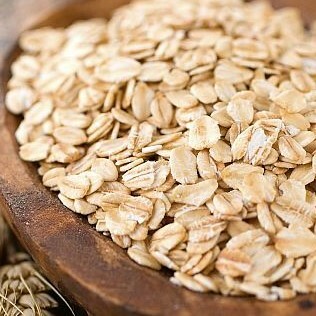 Whole oats are high in antioxidants and beneficial plant compounds called polyphenols. 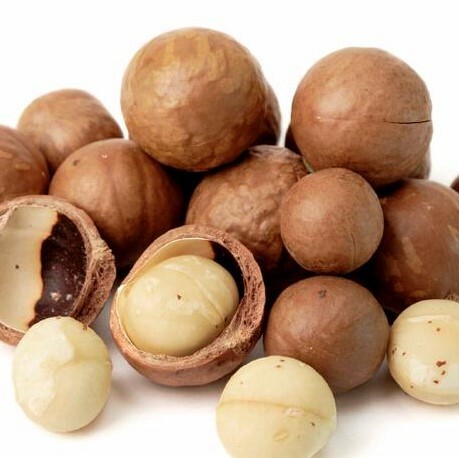 Our Macadamia Nuts are sourced from the lush South Coast of Kwazulu-Natal! Macadamia nuts are nutrient-filled powerhouses that come from the macadamia tree. They contain some important essential vitamins and minerals, such as vitamin A, iron, B vitamins, manganese and folate, as well as protein, healthy fats and antioxidants. Macadamia nuts have been shown to have low toxicity, as well as an inhibitory effect on inflammation. 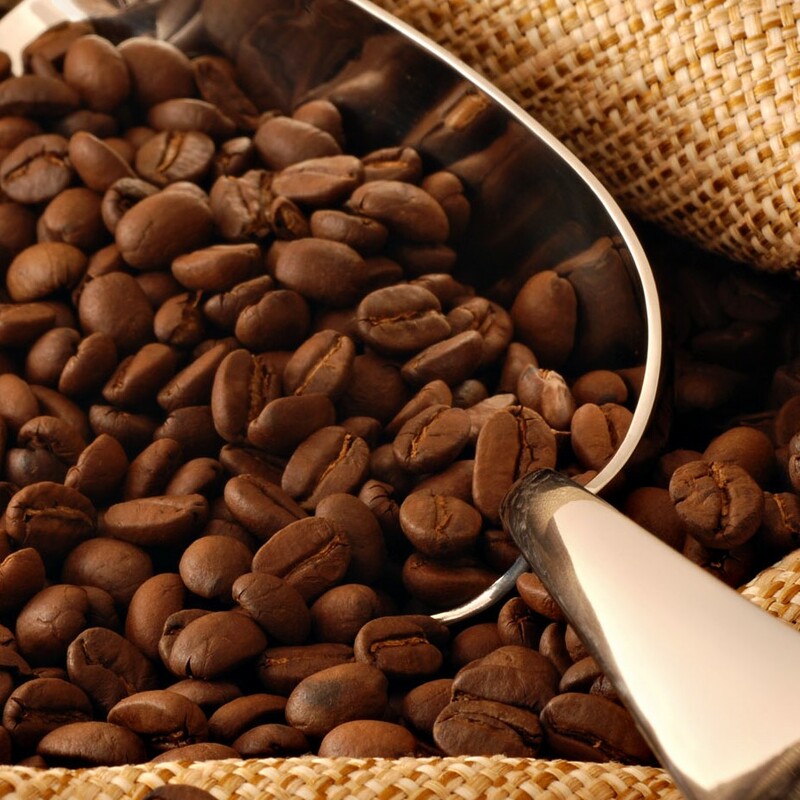 Our coffee is a Fair-Trade, Organic blend, sourced from Honduras, Peru, and Ethiopia. New research is emerging to suggest that there may be several health benefits associated with drinking this dark black beverage, from helping prevent diabetes to lowering the risk of liver disease. Apart from being loaded with antioxidants and beneficial nutrients that can improve your health, coffee has been shown to improve energy levels, physical and metal performance, and it also burns fat! Dates are rich in a number of minerals, vitamins, and health-benefiting phytonutrients. Dietary fibre in dates helps to move waste smoothly through your digestive tract, and also prevents LDL (bad) cholesterol absorption by binding with substances containing cancer-causing chemicals. 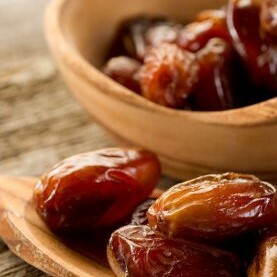 Dates are also rich in B vitamins, and contain vitamins A and K. Copper, magnesium, manganese, vitamin B6 (pyridoxine), niacin, pantothenic acid, and riboflavin are also present in dates and provide their own unique preventive and healing functions. Together, these cofactors help your body metabolize carbohydrates, protein, and fats. Cocoa powder, which comes from the cocoa bean, is highly nutritious, and it can provide numerous health benefits. Studies show that cocoa may provide antidepressant benefits due to the substance phenethylamine, which is a neurotransmitter found in the brain that acts as a mood elevator and natural antidepressant. It has also been shown to boost endorphins, which act as natural “happy” opiates, as well as serotonin. 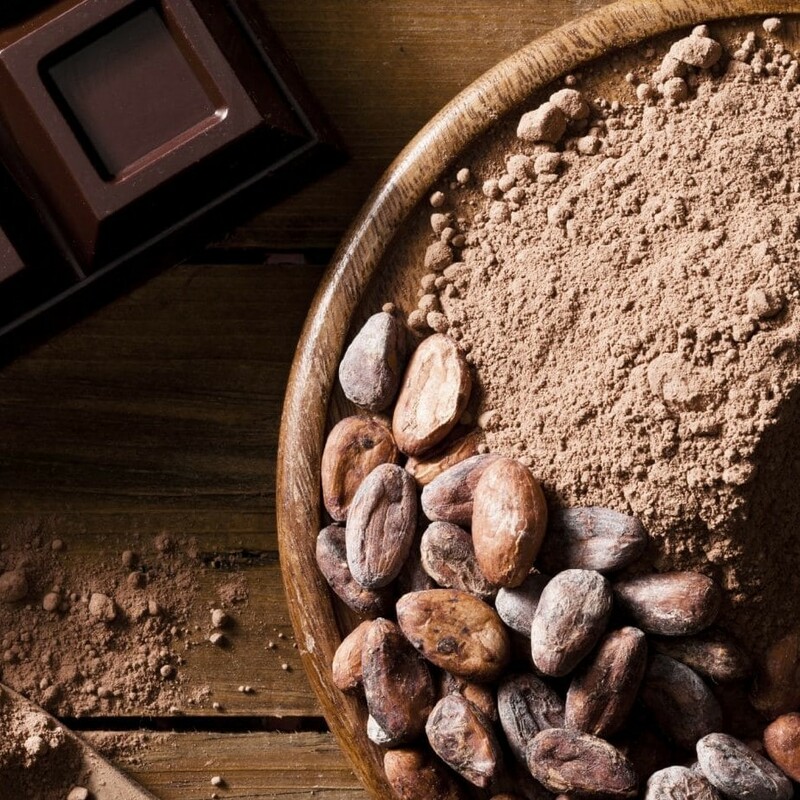 Cocoa also contains approximately 43.6 mg of flavonoids per gram, part of a powerful group of antioxidants. Pea Protein, in recent studies, has demonstrated a protein quality similar to that of eggs and soy, which are considered complete sources. Complete protein sources supply all of the amino acids that your body cannot make. Other plant proteins only provide a few of these amino acids. 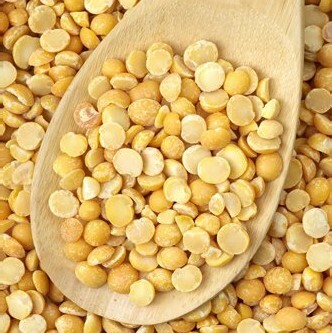 Pea protein has also been found to be amongst the most digestible sources of protein available. Studies have found it to be between 90 and 97% digestible. Studies also show it helps lower high blood pressure and also helps the kidneys flush out toxins. 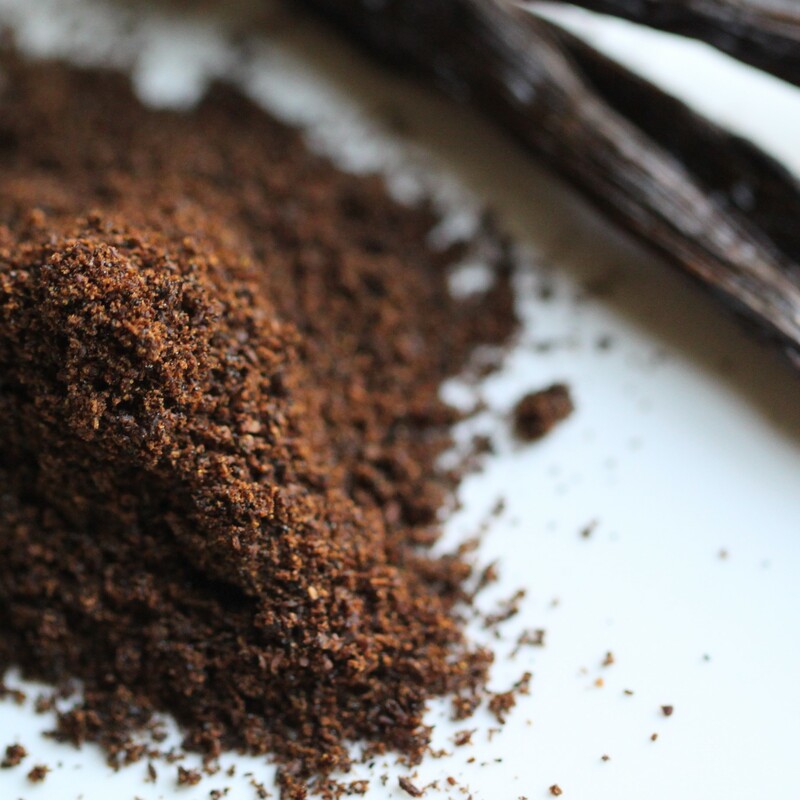 Vanilla is rich in antioxidants (particularly Vanillin), which can help prevent the breakdown of cells and tissues around the body, and stimulate the body’s natural regrowth. It also has antibacterial properties. For centuries, vanilla has been used to soothe inflammation throughout the body, particularly for inflammation of the liver. 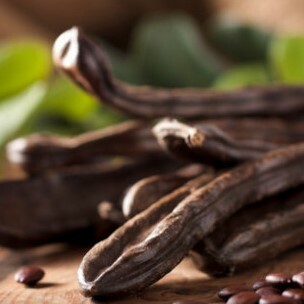 The smell of vanilla is known to directly impact the brain and induce calmness. Therefore, the extract can be one of the best and most accessible remedies for anxiety and chronic stress. Sunflower Lecithin is our choice as an emulsifier. Emulsifiers stop the fat and water in our drinks from separating too easily. We elected not to use Soy because of the xenoestrogen risks, and found GMO free sunflowers to be a better alternative. Lecithin can have different meanings depending on the context, but for our purposes, it refers to a mixture of phospholipids and oil. 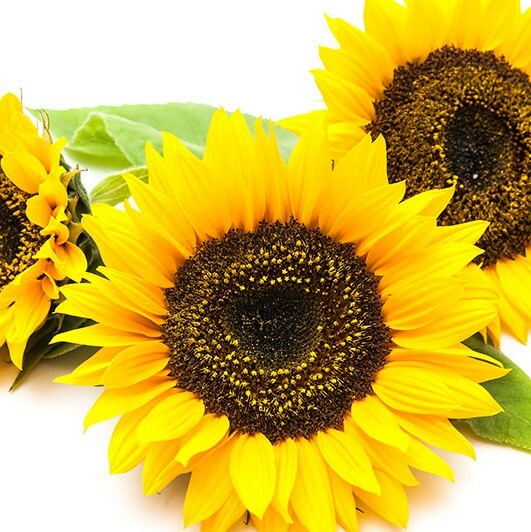 Phospholipids are a component of the cell membrane in all plants and animals, but our lecithin is derived from sunflower kernels. Studies on lecithin have show its benefits in reducing LDL cholesterol, as well as being able to dampen the response of physical stress. Pink Himalayan salt is a type of rock salt mined from the Punjab region of Pakistan, near the foothills of the Himalayas. While being chemically similar to table salt, it contains up to 98 percent sodium chloride, and remainder of the salt is made up of trace minerals, such as potassium, magnesium, and calcium, which give the salt its light pink tint. Some sources say that pink Himalayan salt contains up to 84 different trace minerals! 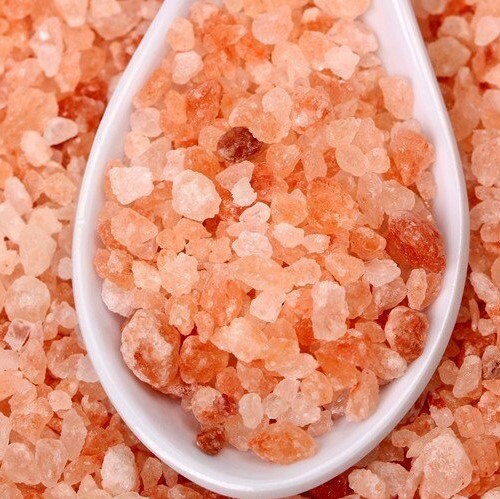 Himalayan Pink Salt provides the body with electrolytes which help regulate hydration. Coconut Sugar is our Low GI sweetener of choice. It has an average Glyceamic Index of only 35, versus 60 plus or normal table sugar. Additionally, coconut sugar is 70 to 79 percent sucrose and only three percent to nine percent each of fructose and glucose. This is an advantage, because you want to keep your consumption of fructose as low as possible, and cane sugar is 50 percent fructose! Coconut sugar contains vitamins, minerals and phytonutrients, though in small amounts. 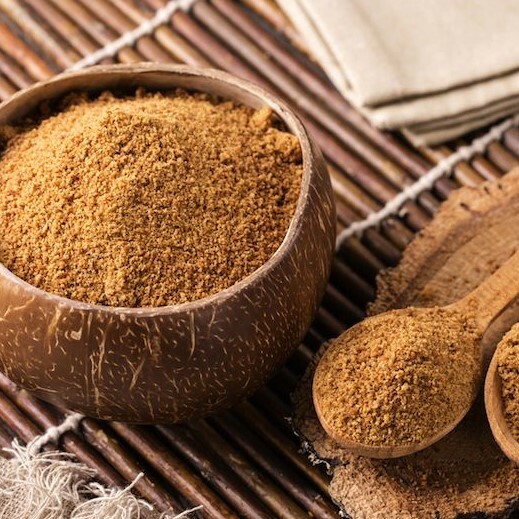 Coconut sugar also contains inulin, which has the ability to stimulate the growth of intestinal bifidobacteria, commonly found in probiotics, which can provide an overall boost to the immune system. The non-caloric natural sweetener Stevia has been used for more than 1,500 years by the Guaraní people of Brazil and Paraguay. In these South American countries, stevia has also been used specifically as a traditional medicine for burns, stomach problems and colic. 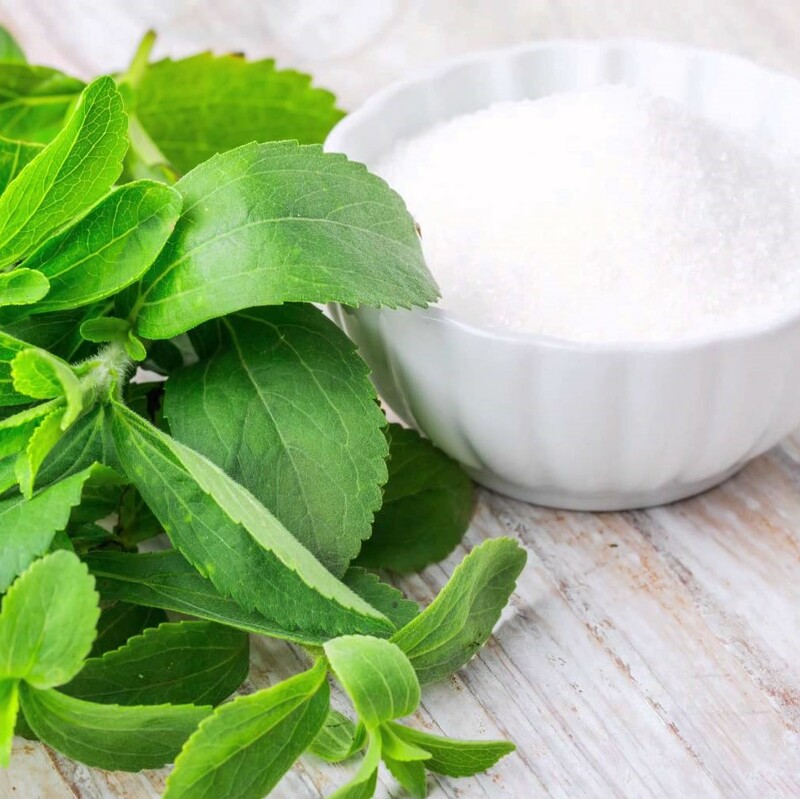 In studies, stevia has been shown to reduce fasting blood sugar levels and balanced insulin resistance, triglycerides. 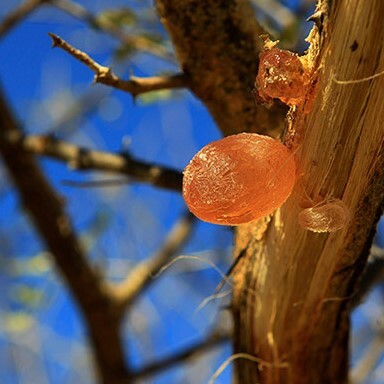 Acacia Fibre (Gum) is derived from the sap of the acacia tree. Human studies on intake have shown a modest reduction in serum cholesterol. Another study using healthy human volunteers found that Acacia Gum acts as a powerful prebiotic, selectively stimulating the growth of bifidobacteria and lactobacilli, concluding that Acacia Gum is at least as effective a prebiotic as inulin, if not more so. Carob Bean gum is also known as Locust Bean Gum is derived from the seeds of the carob tree. The carob tree (Ceratonia siliqua) is a member of the pea family and native to the eastern Mediterranean region. While locust bean gum doesn’t contain a ton of nutrients, it does hold a significant amount of health-promoting dietary fiber. Studies have shown that locust bean gum may have potential cholesterol-lowering effects on its consumers. As a soluble fiber, locust bean gum is also suspected to be beneficial to human diabetics as well, acting to normalise blood sugar. 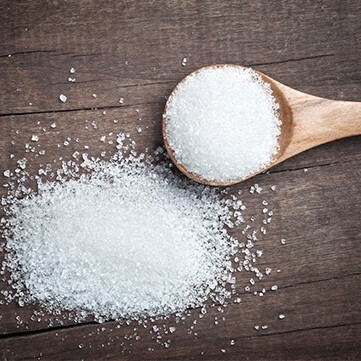 We use Xylitol as a low-caloric, non-glycaemic sweetener in some of our products. It’s 100% natural, low in calories, won’t disrupt your blood sugar, and actually protects your teeth! Unlike most Carbohydrates, Xylitol does not increase Blood Sugar levels, and has actually been shown to enhance the process of thermogenesis (fat burning). Xylitol has been shown to suppress Helicobacter pylori and suppress Streptococcus pneumoniae. It may also help maintain Bone density and thereby helps to prevent Osteoporosis.